Advertising is a critical part of our industry. Over the years, we have used billboards, television, radio, direct mail and newspaper advertising to get the word out. Our advertising’s goal has been to let potential customers and the entire market know about the services that the industry offers and that clients need. The vehicles to put the word out have continued to grow and change through the years. • each month YouTube has 1.9 billion active users. • 1 billion views each day are of learning and education videos. • the educational/learning category on YouTube is growing by 70% each year. • 85% of online adults now view themselves as regular YouTube users. Most important, videos will almost certainly make your business more money. Wyzowl statistics show that 63% of businesses are now using video marketing. 83% of those think they are getting a good return on investment (ROI). As the old saying goes, “a picture is worth a thousand words”. If photos encourage engagement, imagine what videos will do. It is interesting to note that after three days, most people remember 65% of what they learned from a video compared to only 10% remembering what they read. Videos build trust with customers and encourage sharing on numerous social media platforms. In addition to using videos on social media sites, use videos to make your email campaigns more memorable. 1. “Video Boosts Conversions and Sales. First things first. Videos can make you some serious money. Adding a product video on your landing page can increase conversions by 80%. Video can also lead directly to sales. Studies show that 74% of users who watched an explainer-video about a product subsequently bought it, so better start crafting your exciting product videos now! 2. Video Shows Great ROI. Even though video production is not yet the easiest nor cheapest medium, it pays off big-time. Besides, online video-editing tools are constantly improving and becoming more affordable. 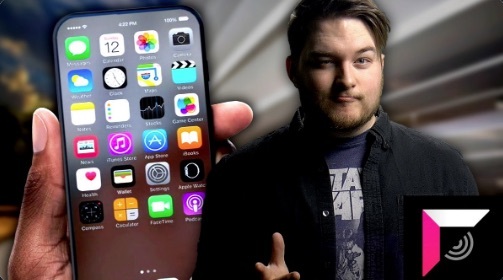 Even your smartphone can make pretty decent videos already. 3. Video Builds Trust. Trust is the foundation of conversions and sales. Building trust should be a goal on its own. The whole concept of content-marketing is based on trust and creating long-term relationships. Stop selling and let the people come to you by providing them interesting and useful information. YouTubers have become the most powerful social media figures to promote your brand. Promotional videos can foster trust as well. Some consumers are still skeptical about buying products and services on the internet because they fear fraud and cheating. Effective marketing videos present your products in a conversational form. That creates a sense of individual approach which is why 57% of consumers say that videos gave them more confidence to purchase online. 4. Google Loves Videos. You are 53 times more likely to show up first on Google if you have a video embedded in your website. Since Google now owns YouTube, there has been a significant increase in how much videos affect your search engine rank. Make sure to optimize your videos on YouTube for Search Engine Optimization (SEO). Write interesting titles and descriptions. Add a link to your website, products, and services. Give potential customers the way to take the next step and explore the world of interactive videos, to further encourage actions. 5. Video Appeals to Mobile Users. Video and mobile go hand in hand. 90% of consumers watch videos on their mobile device. Since people like to watch videos on the go, and the number of smartphone users is growing, your video audience keeps getting bigger and bigger. The growth of mobile video means brands need to be sensitive to the personal way each of us experiences our smart phones. 6. Video Marketing Can Explain Everything. Are you launching a new product or a service? Create a video to show how it works. Animation can bring concepts to life that no text or live video can. Animated videos are a perfect combination of entertainment, nostalgia and simplicity. They work. 7. Video Engages Even the Laziest Buyers. Today’s life is too busy to have time to read long product descriptions or dig deep into services. The modern customer wants to see the product in action. Video marketing can capture a wide audience, and it works on many levels, even the laziest ones. Make sure you target not only the eyes but also the ears of the potential client. • Tutorials: Show your viewers how to perform a task. • Product demos: Demonstrate common uses for your product(s). • Customer testimonials: Interview a satisfied customer, or share a user-generated testimonial on your YouTube channel. • Behind-the-scenes videos: Take your viewers on a tour of your office or workspace, or introduce them to your staff or co-workers. • Live presentations: Speaking at a conference or trade show? Record and share it with your YouTube viewers. • Commercials: Take a look at other ads to see what YouTube commercials should be like. • Product launches: Share the release of new products with your YouTube viewers. • Statistics: To establish yourself as an expert in your field, share industry-related statistics, data and research via a simple slideshow-like video. It may be particularly useful to assemble a focus group made up of your most connected customers and dedicated employees to determine the best videos. Once you have chosen those videos the focus group deemed effective, use every vehicle available to get them out prominently in your community. It may be worth considering hiring a professional media specialist to help produce the videos. Another cost-effective alternative might be to contact your local community college media department to obtain the services of an eager creative student. The more the videos are seen, the greater the ROI and brand awareness for your business.